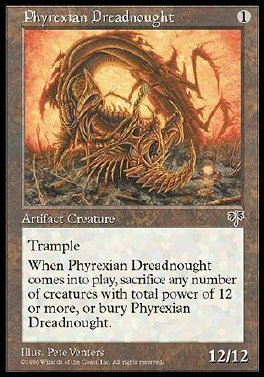 Trample If Phyrexian Dreadnought would come into play, sacrifice any number of creatures with total power 12 or greater instead. If you do, put Phyrexian Dreadnought into play. If you don't, put it into its owner's graveyard.